If you are looking to make home improvements on a property for sale in the Perth area, there are some that provide a lot more profit than others. Some can be done DIY, while others should be done by professionals. Whether you are a homeowners looking to maximise your resale value or someone who is using home renovation as a money-making strategy, here are some of the best home improvements to raise your home’s value on the Perth market. 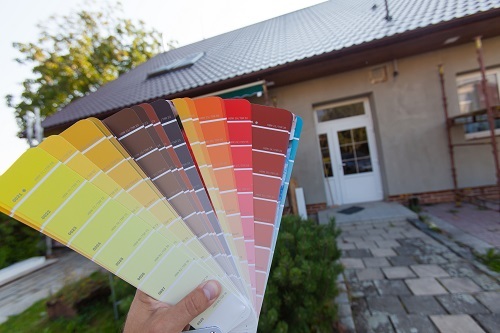 In our opinion, no home should ever be sold without a fresh coat of paint in modern colours. Home values are basically determined by the number of bedrooms and land size. The kitchen is well-known as the most important room for adding value to a property. At the very least, your kitchen has to be on a par with the local market. It will affect demand, and therefore price and time on the market. An old, outdated bathroom will have a negative effect on your selling price. It doesn’t take a lot to make yours fresh and modern. As the old saying goes, “the first impression is everything.” When prospective buyers look at your home, they see the front first. That includes the door, facade, yard, fence, mailbox and roof. Put your best foot forward. One of the best ways to modernise your home design is to knock out the walls between your communal areas. These include the kitchen, dining area, living room and family room. It lets in a lot of light and makes your home look larger. More and more Australians are entertaining guests at home. One of the best ways to do that is with an outdoor entertaining area. The best alfresco living areas integrate outdoor entertainment with your indoor living space. Call Next Level Extensions and award winning home improvement designer Max Sardi. We work with a lot of “house flippers” and can help you get the most money out of your home. Call 1300 948 094 today. Interest Rates to Rise Soon? The Best Time for Home Renovations is Now. Home Renovations Flourish in Victoria Due to Rising Market. Can it Happen in Perth?